Before he graduated, Sidharth Tripathi ’17, who was an organismal biology major at Colorado College, received two prestigious awards. He received a 2017-18 Fulbright to the Czech Republic and is the recipient of the extremely competitive Erasmus Mundus scholarship award, which covers the costs of a two-year European master’s degree in public health. Tripathi’s Fulbright would take him to the Czech Republic, where he would serve as an English teaching assistant. In his Fulbright application, Tripathi said hopes to learn “more about how Czech people value family through their traditions,” since in his own upbringing, Christmas and Easter have primarily been the holidays that have showed him the importance of family. While in the Czech Republic, he also hopes to partner with La Strada, an anti-human trafficking NGO, about facilitating presentations to students. Tripathi’s Erasmus Mundus scholarship award would take him to the University of Sheffield’s School of Health and Related Research in the United Kingdom through the Europublichealth+ program. Europublichealth+ is an innovative, fulltime master’s degree program for select students seeking a career in public health at the local, national, or global level. The Erasmus Mundus scholarship (46,000 Euros, approximately $49,000) covers all costs of participation in the 23-month program. Tripathi, who is from Aurora, Colorado, spent a summer working with a nonprofit organization focused on maternal health in Uganda, served as a health intern for the Western Organization for People Living with HIV/AIDS in Kenya, and was a health policy intern with Clinic Net, a Colorado-based organization advocating for clinics serving underrepresented populations. In his application, he notes that the intercultural exchange of ideas relating to health is possible only when there is a relationship based on trust and mutual understanding. 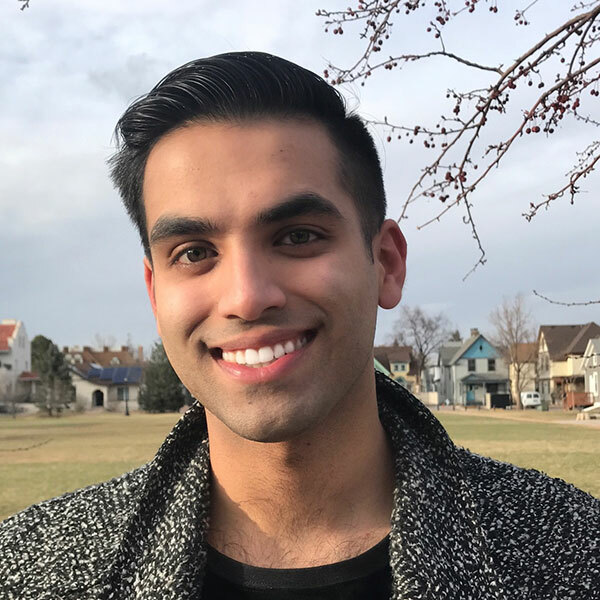 “My experiences also remind me about the importance of being a part of a program that sees public health through multiple culturally sensitive lenses,” Tripathi says.